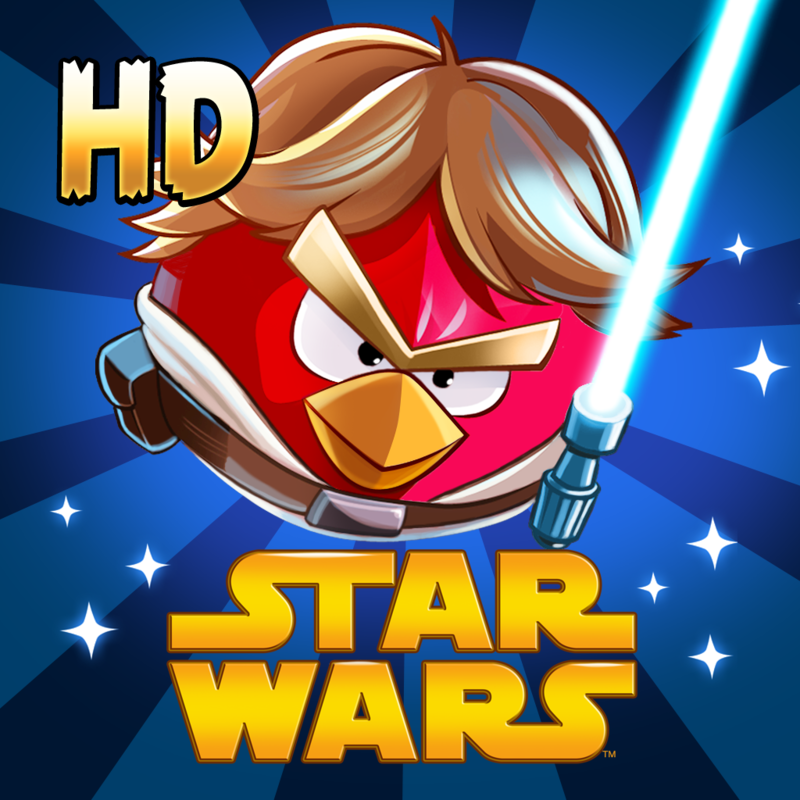 At last we have available for download in the App Store the coveted Star Wars Angry Birds HD for iPad. Birds rebels have managed to steal secret plans to the Empire's greatest secret weapon, the Death Pig. The new Angry Birds game will let you browse many scenes of the film, from the deserts of Tatooine to the ends of the universe. Mechanics of the game is the same but the birds have new powers and new weapons. It uses the great Jedi lightsaber or powers that will give you 'the Force'. Free the galaxy from the evil Darth Vader, Dark Lord of the Pigs, and become a true Jedi. The game is fully compatible with iPad Mini and is also available as the iPhone version. The new Angry Birds HD Star Wars features over 80 different levels s where you'll find most evil pigs that Darth Vader has sent you, but beware, this time the flights will be more complicated. The pigs have gotten heavy weapons and have to dodge their lasers, in addition to the firing of anti-aircraft turrets that have been installed. The mechanics of the new game is similar to the usual Rovio: stretch, release and launch, but this time the Angry Birds are special weapons that you can use to overcome the levels more easily. You can use Jedi lightsaber birds, birds who know use the power of the Force, explosions, etc.. You can also improve your skills birds allies leveling and acquiring more skill. As you complete levels Star Wars Angry Birds HD on your iPad, you'll have to overcome the special screens where you'll help R2-D2 and C-3PO in the fight against the Imperial Pigs. Of course, each robot has unique skills and spend a good time with these new levels, and get unlock extra screens. The game seems to be endless. If you think you are unable to overcome some of the levels or can not get the coveted three stars, let your starship friend and the sky will come the Millennium Falcon to destroy what you ask him. Get 100% of the destruction it causes the ship and get new rewards, but first you'll have to learn to control his shot mechanics. Angry Birds and Star Wars could only unite to develop an amazing game as Angry Birds HD for iPad Star Wars. The game is true to the series of films and each bird is inspired by an important character, but do not forget that Rovio keeps the pigs in the background and are also part of this film, emulating the militia of the Empire or the Dwellers Arenas. The new Angry Birds has a soundtrack that acclimate so splendid, and if you are a real fan of Star Wars you'll love the different scenes into each world. Also on the screens were added very innovative things like turrets that will shoot lasers and you have to avoid if you want to destroy the pigs. Birds also completely change and use weapons and powers are set in the series of films. If you thought this game was going to be like any other Angry Birds is very wrong, try it and you will leave doubts. You can buy it in the App Store for iPad at 2.69 € (remember that is fully compatible with the iPad Mini) or € 0.89 fully optimized for iPhone 5.